Dining sets come in a wide selection of wood species and stains, all competitively priced. From tables and chairs to China cabinets, kitchen islands, and more, there is a style and item for every taste. Traditional, Mission, and Modern styles are just a handful of the designs we create in our dining room furnishings. Each piece is handcrafted by Amish artisans, so you can feel confident that it is durable, timeless, and heirloom-quality. Dining sets come in a wide selection of wood species and stains, all competitively priced. From tables and chairs to China cabinets, kitchen islands, and more, there is a style and item for every taste. 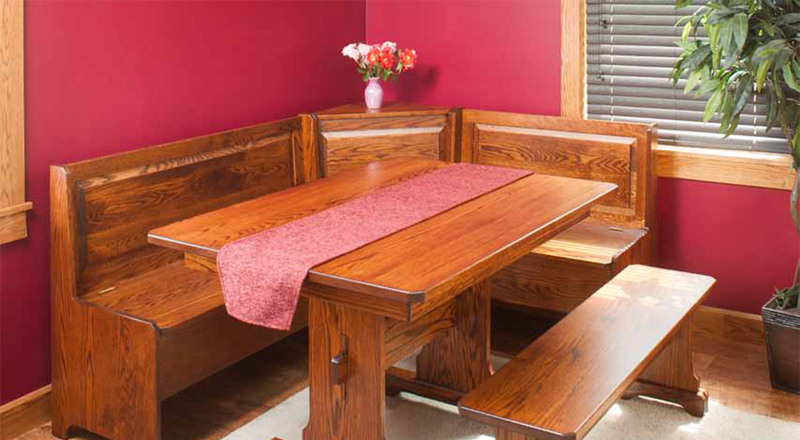 Traditional, Mission, and Modern styles are just a handful of the designs we create in our dining room furnishings. Each piece is handcrafted by Amish artisans, so you can feel confident that it is durable, timeless, and heirloom-quality.